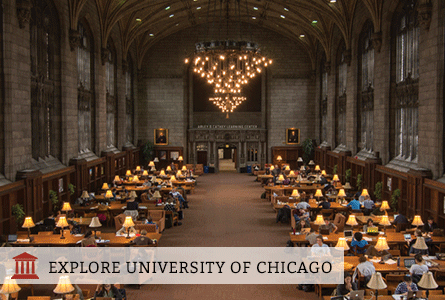 Our mission at the QuestBridge Scholars Network of UChicago is to provide a social network for students who are low-income and first-generation, while helping these students in navigating their college careers. We aim to bring together students with similar backgrounds, listen to their needs, and increase programming and events that may be helpful in aiding their success and growth. We are one of the numerous recognized student organizations (RSO) here on campus and everyone is free to attend our events, allowing for open and accessible conversation between students from various socioeconomic groups. We collaborate with the Center for College Student Success, a college office that caters to first-generation and low-income students, as well as student-led groups that have similar missions, such as the Socioeconomic Diversity Alliance who advocate for low-income students. We partner with admissions in welcoming accepted QuestBridge Scholars into the college through a pen pal program as well as hosting opportunities to pair admitted students with QuestBridge Scholars on campus during prospective students weekends. In addition to our participation in Quest Mentoring, our chapter hosts many informational events that help students navigate the many aspects of college such as financial aid and job opportunities. This year we hosted a Welcome Bonfire with s’mores and fried chicken to bring in the school year on a good note. We also host Saturday night dinners for students to come bond over “great food and even better company” every quarter. Additionally, during the April Overnights we hold Prospie Pizza Days, allowing incoming and current students to meet and connect. Most of our other events, such as our annual Google workshops, are aimed around promoting student success and professional development. Thank you for getting to know our chapter and we hope that you will join our community!